Access your guide to Toronto's best venues for business and social events. Be inspired by unique spaces for private events and brand activations. 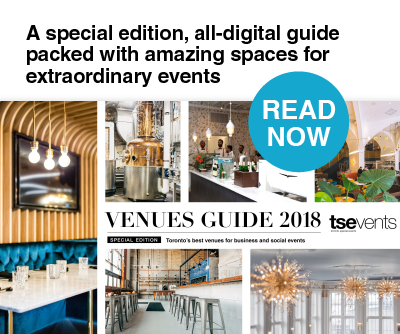 You'll also receive TSEvents e-news with a winning mix of entertaining ideas, chic venues, style tips and trends - delivered monthly to your in-box. Fields marked with an asterisks (*)are required.